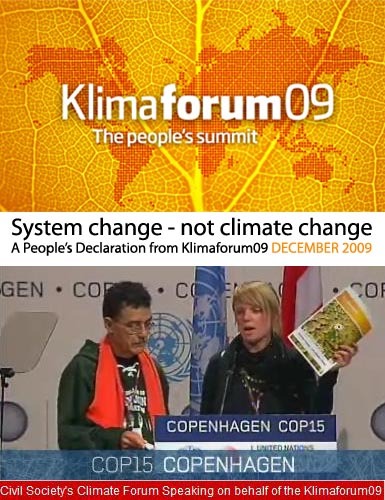 The KLIMAFORUM DECLARATION was presented by Ms. Mathilde Kaalund-Jørgensen and Mr. Juan N. Rojas, as members from Civil Society’s Climate Forum Speaking on behalf of the Klimaforum09, in the Tycho Brahe Hall at the UNFCCC Plenary on the 18th of December 2009. 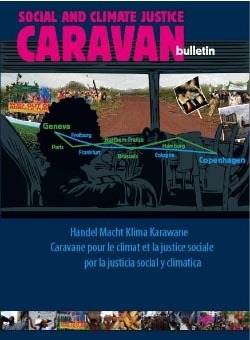 The declaration communicates the diversity of the wide range of grassroots movements that were present in Copenhagen and had been in communication for some time. Together through the declaration, global struggles for climate justice have made a list of very strong basic demands. 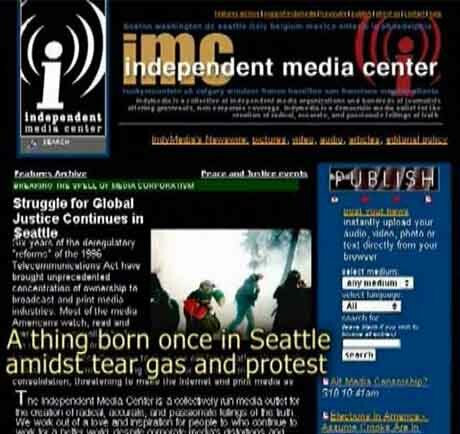 It is very hearthening to see the wide range of groups from all around the planet that have signed up to support its demands, that group is presently over 500 and growing. A complete abandonment of fossil fuels within the next 30 years, which must include specific milestones for every 5-year period. We demand an immediate cut in GHG of industrialized countries of at least 40% compared to 1990 levels by 2020. A rejection of purely market-oriented and technology-centred false and dangerous solutions such as nuclear energy, agro-fuels, carbon capture and storage, Clean Development Mechanisms, biochar, genetically “climate-readied” crops, geo-engineering, and reducing emissions from deforestation and forest degradation (REDD), which deepens social and environmental conflicts.